On January 26, 1948, someone posing as a health officer entered the Teikoku Bank in a Tokyo suburb and simultaneously poisoned 16 people, 12 of whom died. After an extensive police investigation, Hirasawa Sadamichi, a tempera painter, was arrested and convicted of the murders. His guilt was immediately called into question. While he was never executed for the murders, he did eventually die in prison at the age of ninety-five. Efforts to clear his name continue to this day. 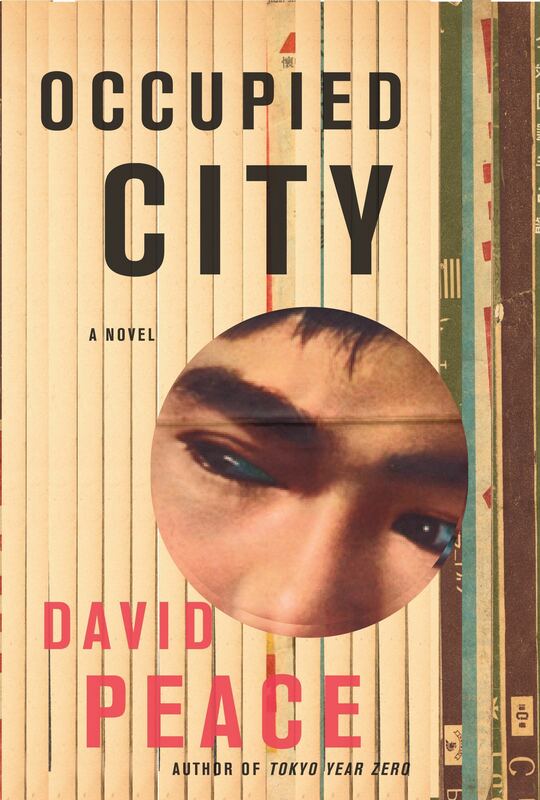 The case forms the basis of David Peace’s novel Occupied City, a crime-thriller unlike any I’ve ever read. Mr. Peace writes crime novels, but he is as interested in prose style as he is in crime. Occupied City is structured like the Japanese classic Rashomon, by Akutagawa Ryunosuke, a crime story told from multiple points of view. In Rashomon, each character, a witness, the suspects and the ghost of the victim, give their version of what happened, but each skews their account to make themself look good. The witness assures us that even the ghost of the victim lies to make herself look better. Mr. Peace structures his novel as a series of opposing narratives. The victims speak with one collective voice. A police investigator gives his account. A survivor tells us what she saw. An occult investigator gives an account. But this is not where Mr. Peace’s interest in prose style ends. Each chapter takes a different form as well. An American army doctor presents his version in a series of letters to his wife back home and to his superior officers. We are shown what details he erased through the use of strike through type. The police officers present their story in the form of notes in their log books. One character speaks through prose poetry. The resulting affect is that the reader must find a way to read each account. Take this passage for example. How do you read this passage? For the longest time I tried to read this chapter as it was, ignoring the use of differing type faces. If you try reading it that way, the effect is like the work of early 20th century Dadaist art, seemingly random groups of words arranged for an emotional impact. Halfway through this chapter I tried reading each type face seperately. Try it yourself now and see what you think. It’s not often that one finds a police procedural attempting experiments in form let alone in the use of prose. I wonder how this affects Mr. Peace’s work. I imagine that many readers of police procedurals do not look kindly on prose experimentation. Many of my friends who read mysteries run screaming from the slightest ambiguity. Readers of literary fiction who seek out prose experimentation tend to avoid mystery novels altogether let alone forms as predictable as police procedurals. Where does this leave a book like Occupied City? As a crime thriller/police procedural Occupied City presents a fascinating case, one made more interesting by its exotic setting–Tokyo in the aftermath of World War II. As a piece of prose experimentation, I enjoyed it. It’s nice to find a piece of writing that I can’t figure out right away even after 41 years of reading. I first ran this review on my old blog, Ready When You Are, C.B., back in 2011. I still read books by David Peace now and then. He’s a little hard to come by in America. I think it’s fair to say he’s an acquired taste, too. I think he well worth reading.